When the State of Israel was re-established in 1948, its borders were based on the UN Partition Plan of 1947. That plan divided land which had been legally set aside for a Jewish state into two states: one Jewish and one Arab. It also set Jerusalem aside as a separate entity under international governance — temporarily. The UN internationalized the city mostly because Christian and Muslim denominations worried neither the Jews nor the Palestinians would protect vast, church owned properties and religious sites. Collectively they exerted strong political pressure. But there’s more. The UN did not intend to internationalize Jerusalem permanently. The Partition Plan provided for a city-wide referendum within ten years, allowing local residents to decide the fate of their city. But this referendum never took place. Why? Unfortunately, former US President Truman, who courageously recognized the Jewish State in 1948, also embraced the internationalization of Jerusalem. Truman was influenced by a US State Dept. that did not support recognition of Israel. His administration set the course for America’s policy toward Jerusalem. * Tel Aviv was chosen as the location for its embassy in 1966. Other countries followed in the steps of the United States, building or relocating their embassies in Tel Aviv. Meanwhile, hostilities intensified between Israel, the Palestinians and Arab states. Ongoing conflict contributed to the UN’s present position to formally internationalize the city. In 1980, UN Resolution 478 condemned any Israeli attempt to unify the city or declare it the nation’s capital. No American president has withstood this position. 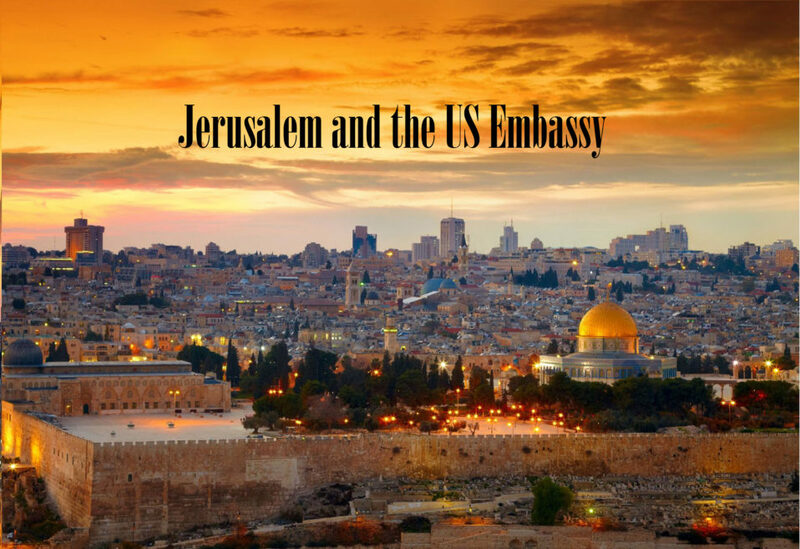 Messianic Jews in Jerusalem today have mixed feelings about relocating the US embassy. Most or all of us support the concept. But some of us believe that realities on the ground give other issues greater priority, such as effectively restraining Iran. God’s timing for relocation is important and that’s how we’re praying. Thankfully, we know to Whom Jerusalem truly belongs. We feel privileged to live here as His ambassadors, serving as two of many watchpersons on the walls of Jerusalem until Yeshua returns. Amazing Jesus exhibit, “Behold the Man,” hosted by Israeli government! Last week we visited the Israel Museum, currently exhibiting 150 paintings about Jesus by Israeli and other Jewish artists. This extraordinary display, “Behold the Man,” reflects a groundbreaking shift in the spiritual climate here. “Behold the Man” issues a silent cry, reflecting the Jewish struggle through centuries of art, to understand that Man. Some works depict Him as wrongly estranged kinsman and prophet of Israel. Holocaust art portrays the hypocrisy of some Christians in worshiping a Jewish Jesus while despising Jewish people. 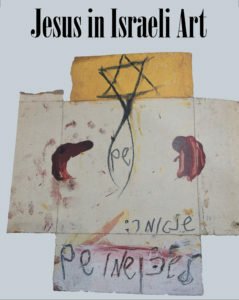 Other paintings connect His resurrection with the rebirth of the Jewish state. Still others presumably show Messiah as much more. For example, the painting above shaped like a cross, with blood stains, Star of David and fish, appears to have been created by an artist believing secretly in Yeshua. No artwork by known Messianic Jews was allowed or included. Still, that such an exhibit would be sponsored by an Israeli national institution is miraculous in itself. It is an answer to prayer and sign of times changing.